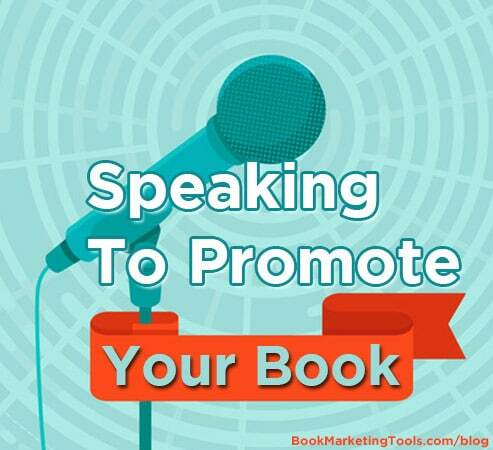 One great way to promote your book, especially for authors of nonfiction books, is to do speaking gigs. Not only can this be another income source, but it will also help to drive book sales and grow your reading audience and mailing list. Author Jeffrey R. Orenstein shares some great tips about using public speaking gigs to promote your book. Are you searching for a simple and highly effective way to promote your latest book and build an audience for future books? You’ve found it. You can accomplish both of those things by launching a campaign of public speaking. It works! It is an effective way to build a group of permanent followers for your author platform and generate book sales at the same time. Becoming a good public speaker is an easy and natural step for most authors. Put away worries you might have about stage fright, finding the right audiences and knowing what to say because, as an author, you’ve already developed the cures for them. You know how to organize your thoughts. You have a topic that is interesting to a wide variety of audiences and you have already conquered the fear of putting your ideas in front of others by writing your book. Thousands of other authors have become accomplished and composed public speakers simply by good planning and mastering a few simple techniques mentioned below. You can do it too. What’s in it for you? Free advertising and book sales. It is also quite gratifying to see the knowing nods and smiles that happen when you and your audience warm up to each other. What should you talk about? The answer is simple –what you wrote about. You are already an expert on your book’s subject, be it fiction or non-fiction. Using the speaker’s platform follows the same process as using the printed or electronic page or any other forum in your author platform- it’s just another medium to present your ideas. Once you have a basic speech put together, you can create variations of it that suit particular audiences. For example, author groups want to hear about how you developed your book and maybe about marketing it. If your book is a specialized piece of non-fiction and you are speaking to a group with interest or expertise on the topic, they will probably want to hear about your research and what you are going to write about next and why. Local book and authors clubs and Friends of The Library groups are a natural audience for you because they are already interested in books and authors. Service clubs like Rotary, Kiwanis and Lions have frequent, often weekly, meeting and are usually looking for speakers on a wide variety of topics, including yours. Another good source of speaking gigs are local organizations that you belong to and, thus, have an “in” with because of your membership. Think of all the business, social and religious organizations that you belong to and then think of each as a potential audience, Approach them all even if they don’t have regular speakers. You never know when they might invite you to address one of their meetings or even create a special event for you. Once you have a track record as a successful speaker, it is time to seek out national or regional industry meetings and associations, cruise ship talks, etc.to expand your audience. The best way for neophyte speakers to ensure success is to have a natural and unforced delivery. The best way to do that is to prepare, prepare and prepare. Write your speech in advance and practice it before a friendly audience like your spouse or friend. Get to know it so well that you can deliver it without referring to your notes or reading your speech. Once you know it by heart, you can relax and concentrate on smiling, gestures, eye contact with the audience and speaking in a natural voice. The trick is to memorize it and then make it sound like it isn’t memorized. Always bring copies of your book to sell and be prepared to autograph them. If you have an assistant he or she can sell them at the back of the room and you only have to sign them. There is no reason for stage fright and a few simple techniques for getting past it. For starters, keep in mind that people want to hear what you have to say and that you as an author know your subject and can easily think of interesting things to say about it. In short, there is no reason to fear talking about your book because you are the world’s foremost expert on it. To overcome any fear you might have about speaking to a large audience, experienced speakers make it small in their own heads. They pick a few interesting faces in the audience that are scattered around the room and talk just to them. If you keep eye contact with those you have chosen as your private little audience, the people around them will think you are looking at and talking to them too. Try it and you’ll soon relax. So start writing your speech and reaching out to speaker chairman and local organizations. 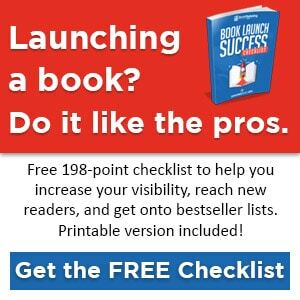 It’s a great way to extend your reach as an author and have fun and sell a few books in the process. Jeffrey R. Orenstein, Ph.D. is an author and professional journalist and has published several books on public policy and the art and craft of writing, Previous to becoming a journalist, he was a political science professor at a major Midwestern university for 25 years. You can see his author page here. His current self-directed book, Fixing American Government, is available at FixingAmericanGovernment.com where he also blogs about the contemporary governmental scene.